Property Details: 3BR, 3.5BA Home w/ approx. 2300 sq. 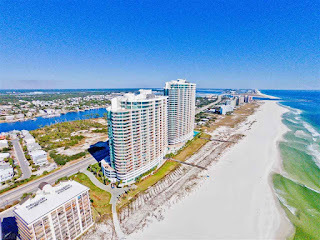 ft.
Turquoise Place condo for sale in Orange Beach. This 3BR/3.5BA Unit has a huge private balcony with panoramic gulf views, a hot tub, and gas grill. Exquisitely furnished. Large kitchen with granite, SS appliances, wine cooler, and separate ice maker. Amenities include: Outdoor/indoor pools, lazy river, sauna, steam room, tennis courts, and fitness center. Unit is a Rental Machine!